I’m working on the Author Note for a new biography, and it’s got me thinking about the goodies-at-the-back-of-the-book. 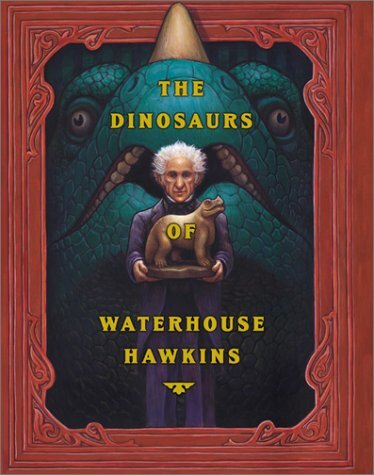 I’ve been a big fan of back matter ever since I wrote my first biography, The Dinosaurs of Waterhouse Hawkins. There was simply so much interesting information that didn’t fit into the main text, and I couldn’t bear the idea of not passing it along. So I wrote an author note—a long author note in itty-bitty font—and Brian Selznick added an illustrator note of his own. The result is like dessert after a great meal: you were already happy and utterly satisfied and then yay, you get even more. Because nonfiction pictures books have such a tight focus, lots of great stuff gets left out. 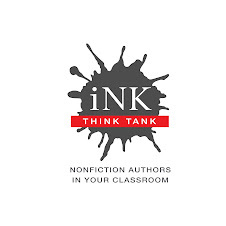 This makes for a stronger book—it needs one clean storyline, anchored in person, place and time, and any extra details you include need to do the work of developing theme. But including back matter does give you a chance to shine the spotlight, briefly, on something else. For my biographies, the back matter often shares the story of what happened after the story told in the main text. 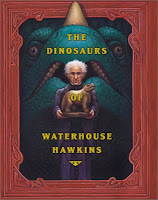 In The Dinosaurs of Waterhouse Hawkins, you get to find out what happened to the villain, Boss Tweed, after he had Waterhouse’s dinosaurs destroyed. In Walt Whitman: Words for America, you learn about Walt’s life after his great sacrifice and service during the Civil War. You get to meet wild-and-crazy Alice as the wife of a congressman, running around Washington, D.C., in the author note for What To Do About Alice? (and see that becoming a grownup did not temper her behavior one iota.) And in the author note for The Extraordinary Mark Twain (According to Susy), you come to appreciate just how important Susy’s little biography became to her father as time went on. In Those Rebels, John and Tom—the story of a great partnership and all that it accomplished for American Independence—you see that friendship strained to the breaking point and then how these two champions of democracy reconciled and forged an even tighter bond in their final years. A solid story will stand alone—complete and satisfying in itself. But if a book has back matter, I always take a peek. Because at the end of a nice meal, who doesn’t like a little dessert? Personally, I love backmatter both as a reader and as an author. At times I'm even tempted to eat dessert first. I know, I just wrote a "whatever happened to" type epilogue for a project - why are they so satisfying, both to write and to read? Steve -- I think it's because we always want to know MORE.